One element that can make candy crush jelly level 52 very tough to beat is the jelly queen. For every move that you make, the queen will then have to make her move too. But what makes the jelly queen to have a negative impact on the game is from the fact that she will undo what you did. In short, she will be eating the jelly form the areas that you had spread meaning, she will be consuming some of your moves. 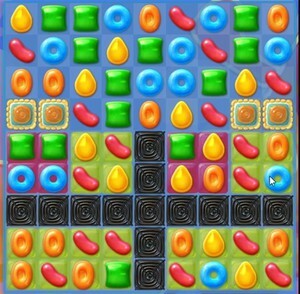 But you can minimize the impact of the jelly queen in candy crush jelly level 52 by making moves by the use of special candies. Every time you make a move using a special candy, the queen will skip her move. This will continue until you make a regular match.